The Shamrock Shake is a green, minty milkshake available at McDonalds every March for a limited time. Think something along the lines of a mint chip milkshake but way more intense and bright green, like REALLLLLY green. St Patrick’s Day is just around the corner, so that means I have a reason to eat more than an the average serving of green ice cream, right? Right! 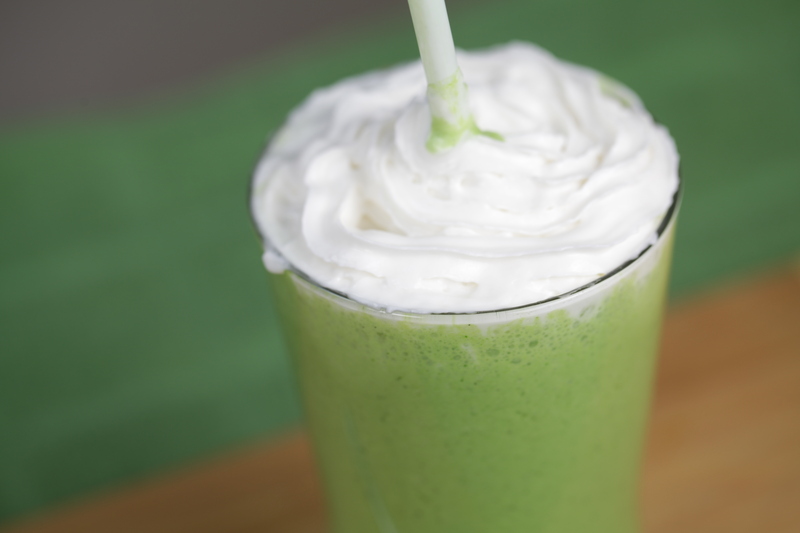 Make this tasty shamrock shake in time for St Patty's! Yum. Combine the ice cream, hemp mylk, mint extract, and spinach or kale in a blender and blend for about 30 seconds or until smooth. Serve immediately, topped with whipped cream and garnished with cacao nibs. Enjoy all year round!!! Yum. I made this tonight I loved it!